DO place your plant in indirect sunlight for at least six hours per day. DO provide room temperatures of at least 68-70 degrees F.
DO water your plants thoroughly when the soil feels dry to the touch. DO use a large roomy shopping bag to protect your plants when transporting them. DO fertilize your plants after the blooming season with a balanced, all-purpose fertilizer. DON’T expose your plants to temperatures below 50 degrees. DON’T allow plants to sit in standing water. DON’T expose your plants to chilling winds when transporting. DON’T fertilize your plants when they are in bloom. 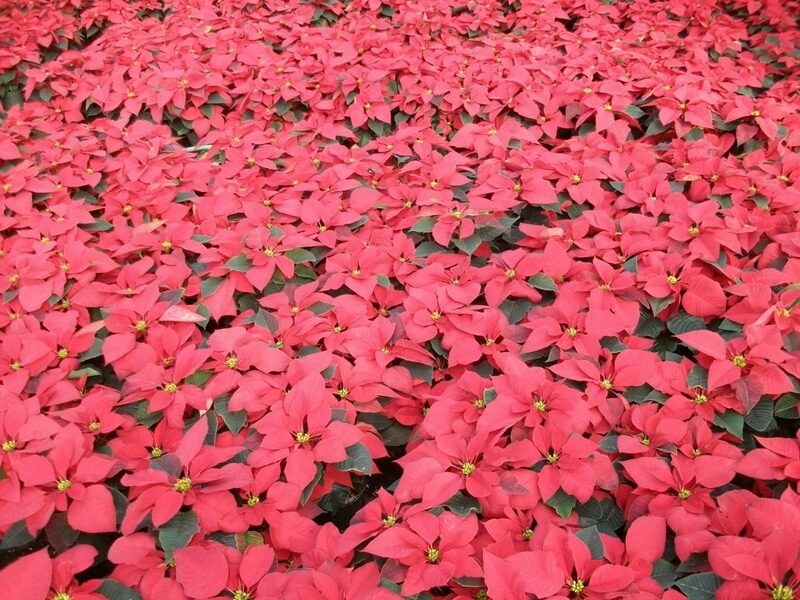 one as a gift on National Poinsettia Day, December 12th! 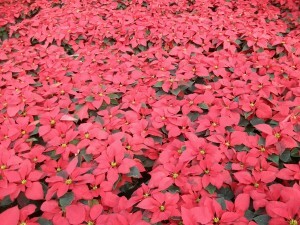 colorful part of the poinsettia, while the true flowers are the small yellow centers. sleeves, for these can reduce air flow. full growth. Continue to nurture your plants as Autumn nears. box over them. During the day, allow six to eight hours of bright sunlight.